BoJ leaving its monetary policy unchanged left a negative impact on JPY. 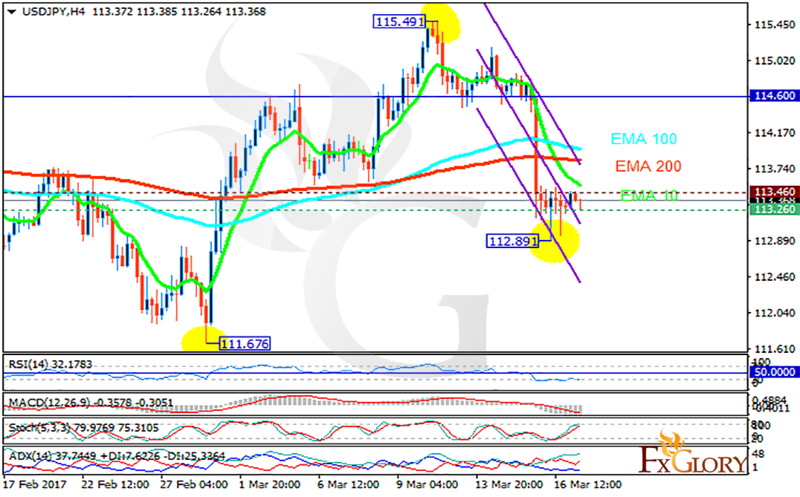 The support rests at 113.260 with resistance at 113.460 which both lines are below the weekly pivot point at 114.600. The EMA of 10 is moving with bearish bias along the descendant channel and it is below the EMA of 100 and the EMA of 200. The RSI is moving horizontally on oversold area, the Stochastic is moving in its high ranges and the MACD indicator is in negative territory. The ADX is showing buy signals. The pair will continue its bearish trend targeting 112 area.